Every year, around the beginning of June, Walmart has its Shareholder’s Meeting about 25 minutes from my house. For that week, there are usually a couple of nights of concerts for the shareholders and associates. They bring big names, and since I have several family members that work for Walmart, I was able to get a ticket to go to the show last night. I wasn’t incredibly excited about it, like I usually get with shows (sweaty palms and racing heart, yo! ), but I was happy I had a ticket. I got there in time to catch the last 3 songs of the opening act, Ed Sheeran. I had heard one of his on the radio, “The A Team”, but other than that one I didn’t know much of him. Turns out, he’s a mean guitar player! That dude was making his acoustic guitar smoke from how fast and hard he was playing it. I was impressed. But the headliner for the night was none other than Sir Elton John. Who would’ve ever pictured him in Arkansas? Right?! Well, I learned why he’s such a legend. I was delighted to see how he dominates that stage, that piano. All the songs he performed were well-known (not by me, but everyone was singing along). He played BuhBuhBuh “Bennie and the Jets” early in the set, and finished “The Circle of Life” towards the end. During the latter one, I had to lift imaginary Simba to the sky. It was a lot of fun. I was happy to get to see him live. I got a couple of videos for you. 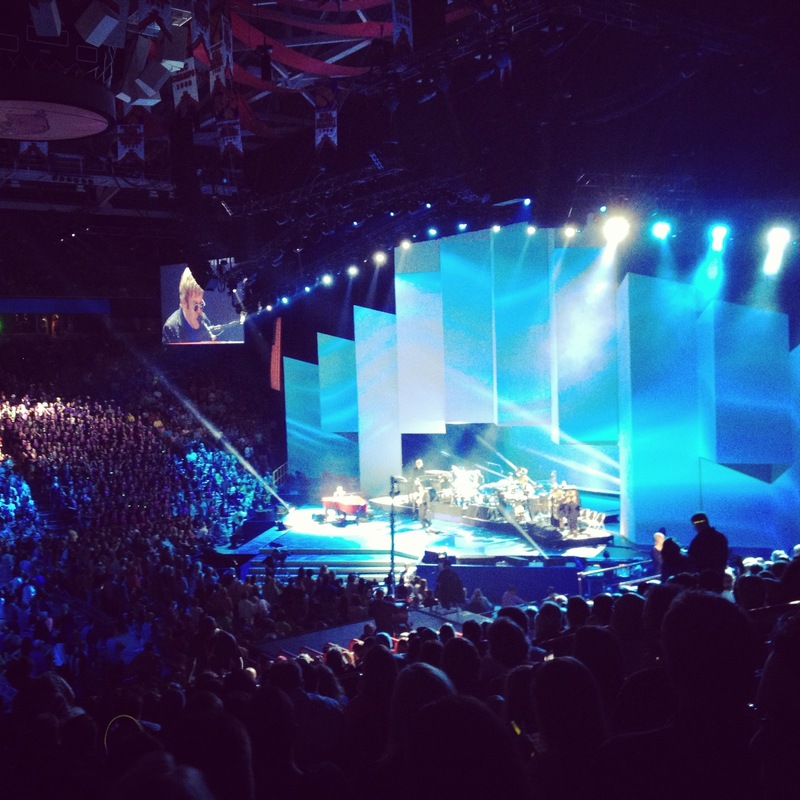 This entry was posted in Live shows and tagged Arkansas, Elton John, Live show. Bookmark the permalink.